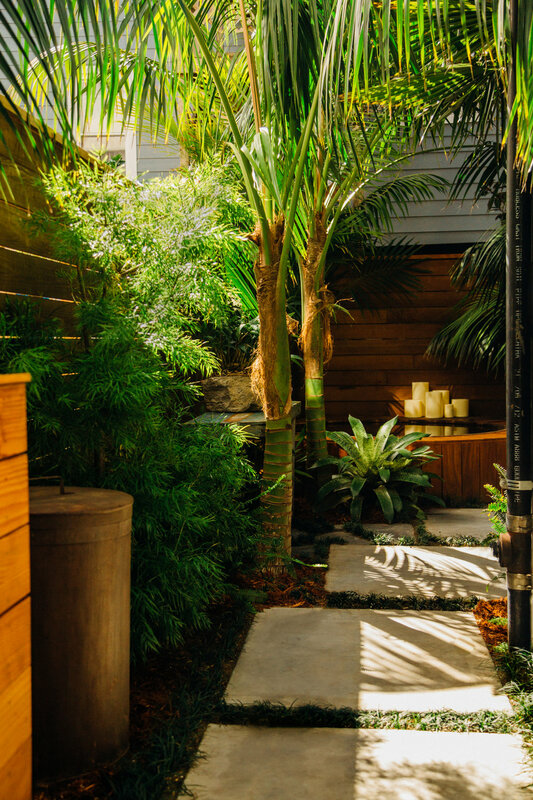 A handsome array of palms transform this small mission district garden into a private forest. 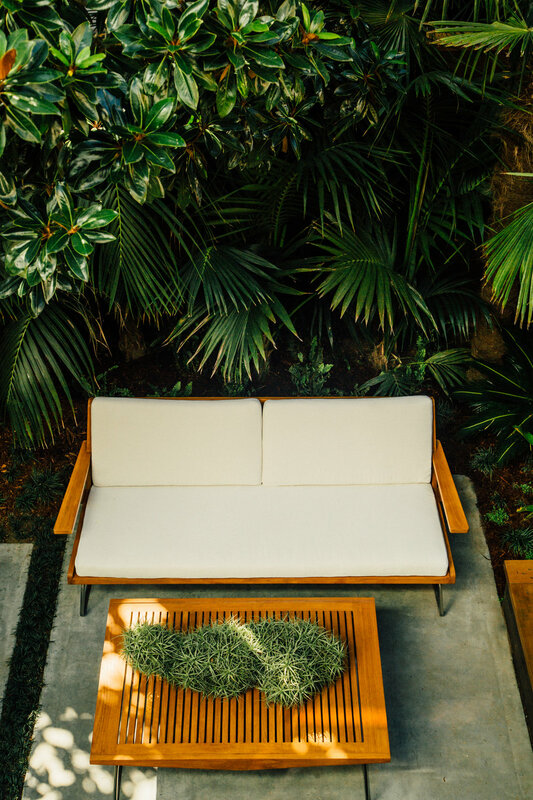 Both elegant and grand, nothing boasts more of our California climate than these fine palms. Their sculptural trunks give the garden importance while their rustling canopy of fronds draw the gaze upward. Below, beds of clean lush foliage provide layer after layer of deep relaxing green.